Right now you can save BIG on select Quaker Breakfast Favorites! PLUS several of these products qualify for subscribe and save delivery which will save you an additional 5% – 15% off and ship for FREE! 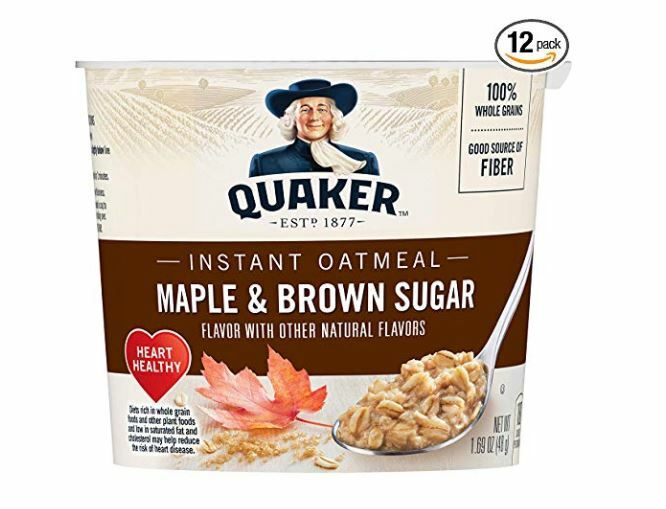 For example this Quaker Instant Oatmeal Express Cups, Maple Brown Sugar, Breakfast Cereal, 1.69 oz Cups (Pack of 12) is on sale for $8.04 Shipped when you subscribe and save. That’s just $0.67 per cup!